User experience continues to determine the adoption and usage of mobile apps, irrespective of whether they are being used for personal use or work. Therefore, it is critical for enterprises to focus on creating applications that offer smooth, intuitive, and fluid user experience to end users. Besides this, various other considerations determine the desirability of features in enterprise apps. Here’s a quick list of the most important features to have in enterprise mobile apps. Smartphones and the milieu of apps, background processes, their susceptibility to cyberattacks, and unsafe connections that they bring into enterprise IT ecosystems create a nightmare scenario for IT security professionals in organizations. Naturally, enterprises focus on security as the most critical elment in their apps. This means building apps from the ground up with a security-conscious framework and not granting users additional rights to change security settings of the apps. App integrations is arguably the most sought-after feature among enterprise users. Although smartphones are advertised as productivity enhancers, their ability to deliver on this promise relies heavily on the ease of use of the apps. Work applications, in particular, should ideally feature powerful integrations with all the applications used by the workforce. Such as collaboration tools, cloud document sharing services, emails, team chat apps, and the likes. Employees must be able to seamlessly work across apps without facing slowdowns. 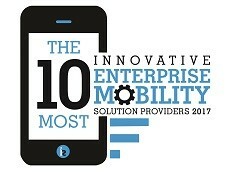 Only then will they be able to fully harness the potential productivity enhancement benefits offered by mobility. A responsive feedback system is not only critical for the widespread adoption of the enterprise apps but also for the very success of the organization’s enterprise mobility strategy. A good feedback system encourages the workforce to be part of the initiative positively and contribute to its success. This high-level engagement is crucial for the success of organization-wide initiatives. It also helps improve the apps, which can often grow beyond in-house applications and allow enterprises to deploy them for their customer base. Enterprise users will likely be using the app from a variety of devices. Therefore, organizations must create apps for a variety of platforms. They must take into consideration factors such as operating systems, device hardware, and so on, when creating the app. 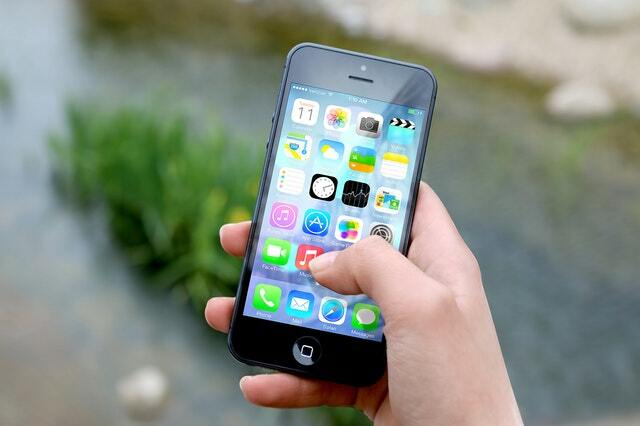 A mobile app is more than a website or a web app. It brings enhanced capabilities and features like GPS, camera, phone calls, and more. Businesses must utilize these capabilities to create native features and empower their workforce in creative ways, such as location tracking, geo-fencing, and so on. Modern employees expect their apps to understand their needs, even anticipate them, and offer context-aware features that enhance their experience. It can be as simple as providing a list of recently used apps or files, or something more advanced as in-app context-based searches. Emerson Spartz from Spartz Media urges businesses to “ruthlessly eliminate clicks” on their apps. The less information they require their employees to share or input, the easier it is for them to use the app. Even when signups require extra steps, conversions fall. To realize maximum benefit from their enterprise apps, organizations must make their apps as user-friendly as possible. They should feel as intuitive as the personal apps that the users have grown accustomed to.